Because we like you, we really really like you and want you to have all of the nice things - KCRW is once again offering you a chance to experience 5 nights in Barcelona for the Primavera Sound Festival. Join, renew, or simply help us out with a little extra gift by 11:59 PM on Sunday March 10th and you will be automatically entered to win. I’m really not sure what is left to say about how phenomenal a festival experience Primavera Sound promises to be yet again this year, though please allow me to direct you to my colleague Aaron Byrd’s description of Barcelona to ensure that you are properly chomping at the bit to get there. This year’s line-up is as jaw droppingly stacked as always with KCRW favorites like Tame Impala, James Blake, Dirty Projectors, Kurt Vile & the Violators… Artists guaranteed to get your nostalgia glands working overtime - Neneh Cherry, Liz Phair, Primal Scream, Jawbreaker (! ), Suede (!!). Plus you’ve got Cardi B to ensure that the party has no chance of stopping, and Jarvis Cocker unveiling something that he’s calling Jarv Is. You must take any chance available to you to be among the first to know what that will entail. But I digress, today is International Women’s Day and cool thing number 107,089 about Primavera is that this year they’ve committed to making the line-up more than 50 percent female stating: “This should be the new normal.” So with that in mind this Music For Your Weekend line-up is almost 100 percent female, and all artists that you’ll have the chance to check out at Primavera. Not only is today International Women’s Day, it’s Women’s History Month. Solange dropped her new album at midnight on March 1st - the exact moment that Black History Month was transitioning into Women’s History Month - proving yet again how adept she is at subtle social commentary. The album itself is incredibly subtle, with an overall minimalist vibe strongly rooted in jazz concepts. Alice Coltrane, Steve Reich, and Stevie Wonder’s The Secret Life of Plants have all been cited as direct influences on the lyrical repetition present on this album. This has the neat effect of lulling you into a beautiful hypnotic state that will occasionally be shattered with a line like: “Sound of the rain helps me let go of the pain.” Water, and it’s capacity to (or not to) wash things away is a theme that repeats throughout this reflective collection of songs and spoken word pieces. 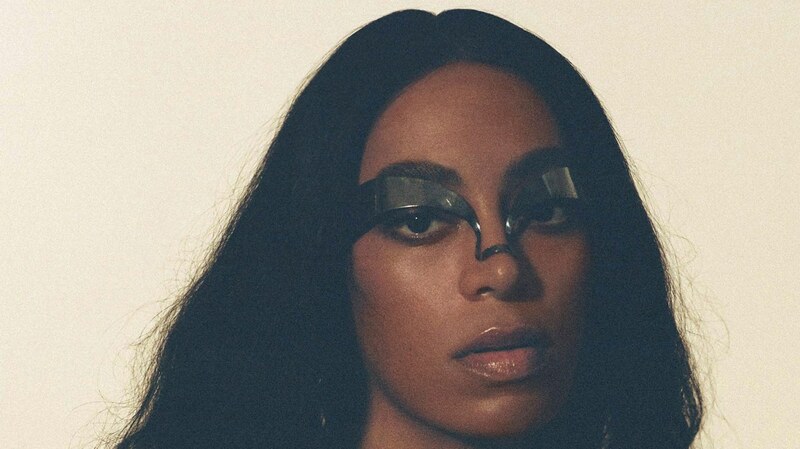 Solange has noted that this album is more focused on “what she had to feel,” as opposed to her 2016 album A Seat at the Table’s focus on “what she had to say.” When I Get Home is certainly going to elicit a wide range of feelings from all those who encounter it, but it’s a super fun hang as well. The album title is a nod to her hometown of Houston Texas, and of the overall vibe that she was trying to create musically she’s had this to say: "There is a lot of jazz at the core... But with electronic and hip-hop drum and bass because I want it to bang and make your trunk rattle." Music to think about, feel, and move you throughout the weekend… and maybe even all the way to Barcelona. Formed in 1990 after the disbanding of the great British indie-pop group McCarthy, Stereolab went on to become one of the most influential and revered projects of their time. Their last shows together were in 2009, so after teasing new live dates towards the end of last year it was a very big deal to learn that they would indeed be playing Primavera. Stereolab built their considerable reputation on blending a wide-range of musical genres from Bossa Nova to Krautrock into their own signature sound. What has earned them perhaps their deepest devotion though is their knack for crafting ultra satisfying pop hooks. Nowhere is this on fuller display than “French Disko."